This is great information. 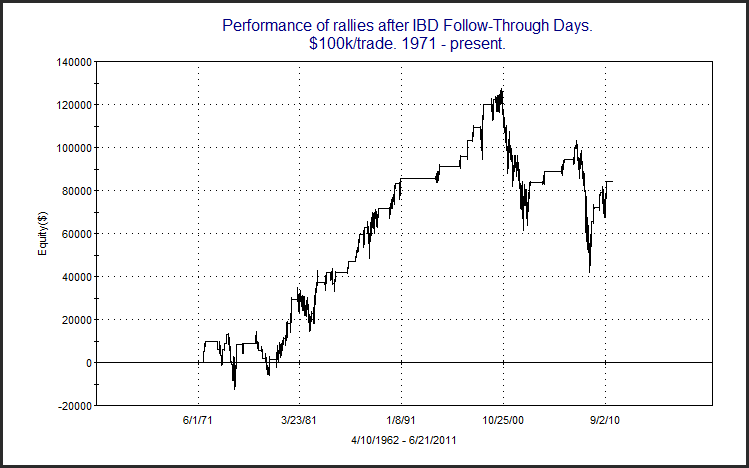 But wouldn't a better measure of success be from the FTD to when IBD goes to "Market in correction" for the first time. Then you are allowing for equity gained during those periods when the market is under pressure before resuming its uptrend. Another question: why doesn't your equity grow significantly after the 9/1/10 FTD? I'm not testing IBD. I'm testing FTDs. I don't care when IBD says "market in correction". 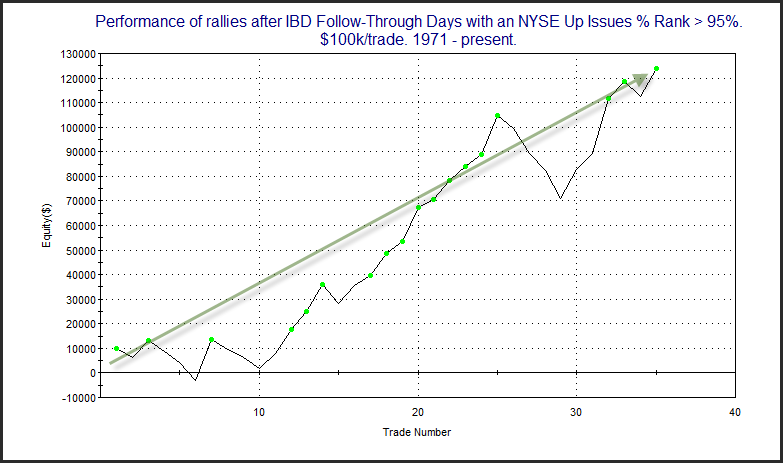 I just want to quantify how well FTDs do at predicting rallies. Also, finding out when they say "market in correction" would be a very arduous task, and lastly the criteria and people making the call might change over time. The way the study was designed 9/1 was not considered a FTD, because there was still a FTD active from July that had neither "succeeded" nor "failed". 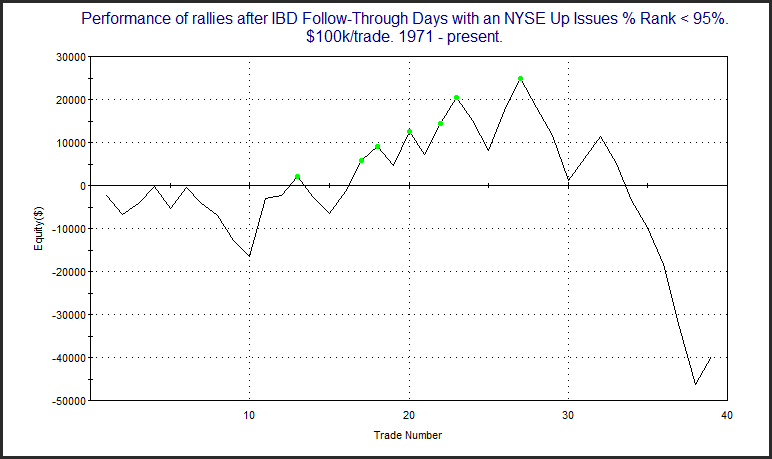 The July FTD was deemed a success on 11/4/10 when a new 52-week high was made. Traders who are interested in changing parameters and studying FTDs more may purchase the FTD Tradestation Study code from the website.